Page 1 of 2 Nick and Anne welcoming guests at the CIX barbecue 2000. 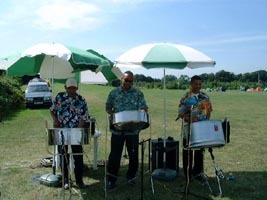 Steel band at the CIX barbecue 2000. The chef cooks the dead flesh at the CIX barbecue 2000. 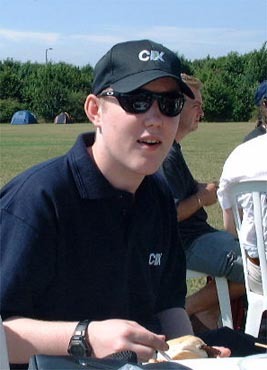 Chris at the CIX barbecue 2000. 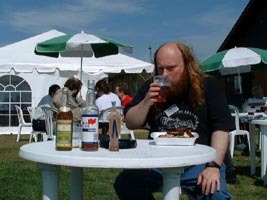 John Hein and his famous chillie vodka at the CIX barbecue 2000. 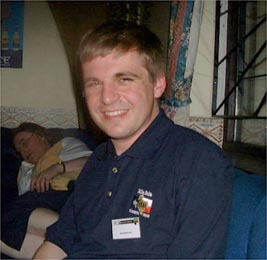 Alex at the CIX barbecue 2000. 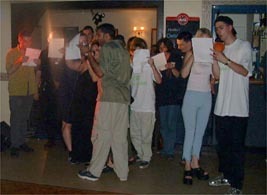 CIX staff sing their modified version of Bohemian Rhapsody in the karaoke at the CIX barbecue 2000. 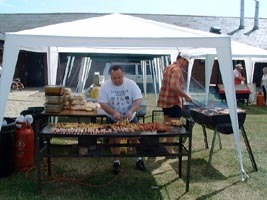 Some people seemed more than willing to give the staff a helping hand at the CIX barbecue 2000. 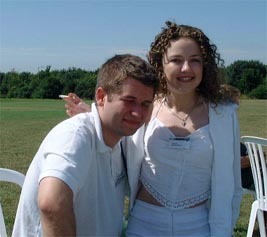 Martin & Antonia at the CIX barbecue 2000. 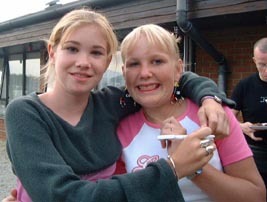 Niamh at the CIX barbecue 2000.